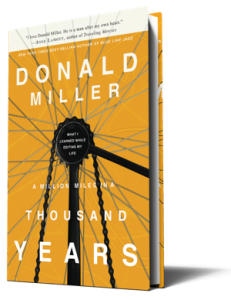 Donald Miller’s book A Million Miles in a Thousand Years is quite good, but the end of chapter 29 is truly great. In it, he refers to a recent episode of 60 Minutes, which I vividly recall seeing myself a few years ago. It was about the happiest people in the world, and I found it tremendously thought-provoking and memorable. Here is Don’s take on it. “A study done by a British university ranked the happiest countries, and America was far down the list, but Denmark was at the top. Morley Safer explored why. Ruling out financial status, physical health, and even social freedom, he landed on a single characteristic of the Danes that allowed then such contentment. The reasons the Danes are so happy was this: they had low expectations. From my recollection of the study, there is another important aspect of Danish culture – their involvement in their own local communities. More than any of the other developed nations in the study, people in Denmark have a sense of equality and connectedness to each other. In fact, their values are so community-oriented that they have a popular government program which pays for citizens to get involved in local recreational and social groups. As a result, they are far less competitive than Americans. They are more likely to view success as a community, not as individuals in competition with one another. The Danes are a reasonable and communal people, which seems to make them significantly more content and happy than other people groups. Therefore, if American parents, teachers, and coaches were to adopt a more Danish approach to life, we might just be happier and more effective in helping the young people in our care. And isn’t that what we all want? But what would that look like? “Lower Your Expectations” is not exactly a winning campaign slogan or marketing scheme. It seems like something Homer Simpson would teach Bart. However, in our hyper-stressed American lifestyle, which is constantly shouting “More! More! More!” it makes sense. It’s a call to more realistic, reasonable expectations about life, including the very best parts of life. 1. FAMILY: Understand that marriage and family offer joy and purpose but not perfection. 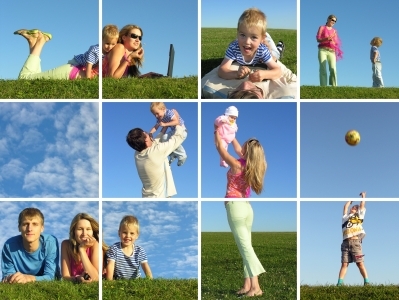 While family life is one of the most important and rewarding of all human activities, it is also one of the most difficult aspects of life. It is rewarding, but it will not fill the void in your soul every day. Marriage is a perilous journey, and the results may vary from life-long affection to absolute loathing. Parenting is the same way. Likewise, sibling relationships are complicated. And the answer, which is to love each other “as is,” can be exceedingly frustrating. Family life often feels paradoxical, like a minefield on a beautiful beach, and people who expect it to be a delightful day at the beach will find themselves devastated. We have to remember that imperfect people make imperfect families. To a certain degree, we need to laugh more about it all. Let’s find the fun in dysfunctional. 2. FAITH: Understand that God offers peace and hope but not perfection. Religion in America is often packaged like a product for sale. Youth groups and summer camps are often guilty of teaching kids that Jesus will perfectly fill every need of the heart and provide an abundantly fulfilling lifestyle. But that is misleading because life is not just hard at times; it is consistently disappointing, whether you are a devout Athiest or born-again Baptist. With or without Jesus, nobody’s life will ever approach perfection. There is nothing in the Bible that promises a life full of health, wealth, and ease. However, there are plenty of biblical promises of a life full of affliction and adversity, yet it’s a meaningful life with a very happy ending. The Bible promises perfection only in heaven, with some glimpses of it here on earth. So, let’s trust that our kids can handle the truth, instead of selling them a sugar-coated gospel. 3. POSSESSIONS: Own less. Enjoy more. Beauty is something to be studied, understood, and enjoyed. People need beauty. But the deep & constant need to OWN all the best of everything will completely disable the ability to be even remotely happy. Materialism is the silent killer of contentment. Just take a look at the Lottery winners; they are far less likely to be happier after they collect their money (click here for more), probably because they expect money to solve their problems. So, we need to teach kids to enjoy good things without needing to own them. In other words, enjoy the sleek lines of the gorgeous new Mercedes that passes you by, but resist the idea that you need to own one someday. Here are some tips: Even if you have plenty of money… Use the library system to borrow things. Trade things with your friends, family, and neighbors. Go to national parks to share in natural beauty. Rent rather than buy a condo and a boat. Practice enjoying what you already own (cancel catalogs, avoid the mall, etc). In other words, make it a daily practice to count your blessings while enjoying the blessings of others. 4. PERSPECTIVE: Remember that “you can’t have it all” and that’s okay. There are only so many hours in your week, dollars in your bank account, and calories to burn in your body. So, with limited resources, we have to make choices about how to spend our time, money, and energy. Therefore, it is totally unrealistic and absolutely unreasonable to think that we can be great at everything. Excellence and perfection are not the same. We need to become comfortable with the fact that we are going to be mediocre at many things throughout the day, as we pursue excellence in certain things. 5. OTHERS: Quit expecting perfection from everybody. Friends, co-workers, and other acquaintances say and do things all of the time that are annoying or a little rude, and people are so ready to jump on them as if they’ve never said or done anything so bad. Show some mercy, not just justice. 6. SELF: Cut yourself some slack. Allow yourself to leave the house a mess, wear your sweats to the store, and let the dishes pile up, so you can enjoy some extra time with your close friend or to create something beautiful. Just say “No!” to your task list sometimes. We can make the best of what we have been given, and we can teach kids to do the same. For many of us, it means lowering our expectations down from fantasy to a reality. Some of us have higher expectations than God has for us, and we will never find contentment until we get real. This is simply wonderful content. I wish someone had shared these truths with me at a much younger age.